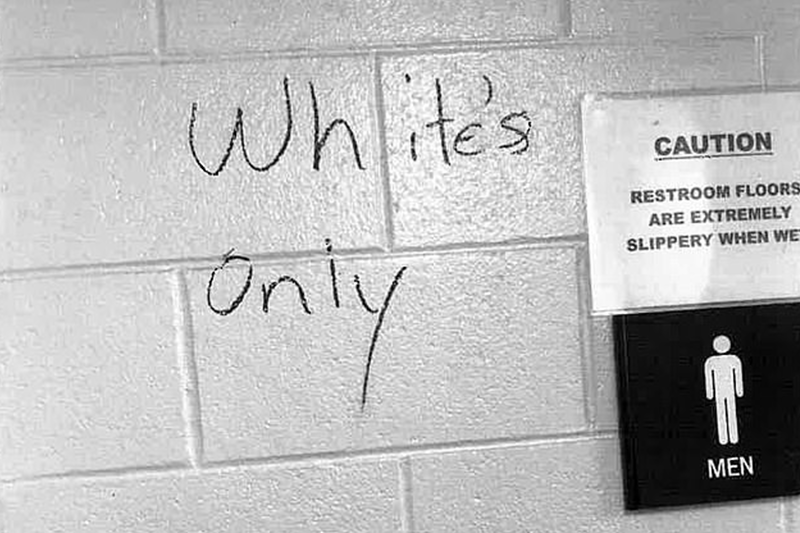 Several black men working at Ohio’s General Motors plant say they were the targets of racial discrimination after finding nooses hanging from the ceiling and ‘whites only’ signs scrawled in the bathrooms. Marcus Boyd and Derrick Brooks, who were both supervisors at the Toledo Powertrain plant, are among nine black employees suing GM for the alleged ‘violent race discrimination’ they endured. The lawsuit, obtained by DailyMail.com, claims the employees were racially vilified and were called the N-word repeatedly over the last four years. They claim the racist conduct ‘spread like wildfire’ throughout the plant and the lawsuit accuses GM of allowing an ‘underlying atmosphere of violent racial hate and bullying’.